As summer nears, I thought I should finish up my Hawaii posts, including one of my visit to Alan Wong's Restaurant in Honolulu. This particular restaurant of his is on the third floor of a nondescript office building in Honolulu and was rather hard to find. Make sure you're looking out for the street number! Despite being hard to find, Alan Wong is quite famous, so the restaurant was full as expected. 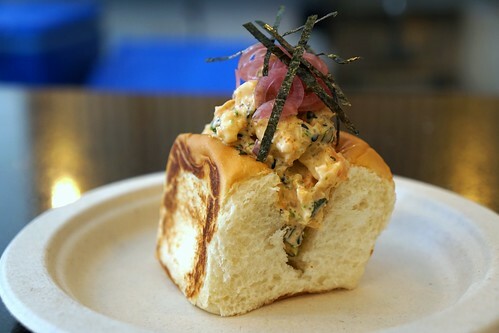 Some of the items here may seem passé coming from California, like the tuna tartar with wontons, but some are still rather unique to Alan Wong and the available/local fish is also quite different. It is certainly distinct from a standard loco moco, with the sweet flavors of the unagi and the kabayaki (sweet soy-based sauce). 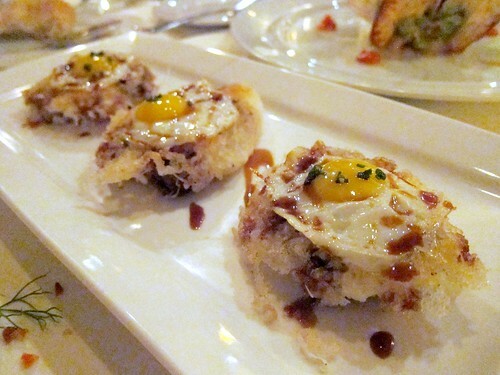 I loved the chewy and lightly crispy mochi crust and the quail egg which has deeper flavors than a chicken egg. They were confused when I pulled into the parking lot of Tamura's Fine Wine & Liquor. I told them we were getting poke - I didn't tell them where we were going. Who would've guessed that a liquor store sells poke? But they sure do, enter and turn right to the back and you'll find a deli case filled with about a dozen poke selection. 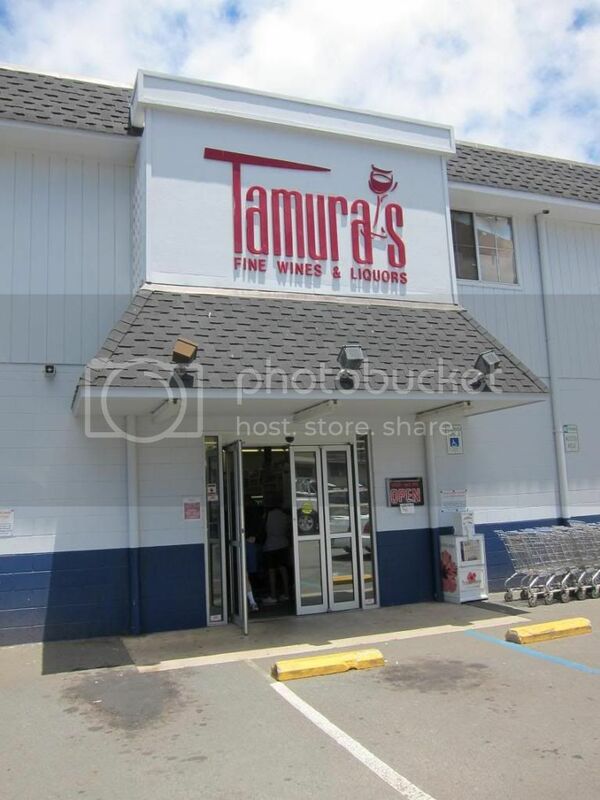 I wouldn't have known that Tamura's liquor store sells poke - and very good ones at that - either if it wasn't for OishiiEats' blog post. 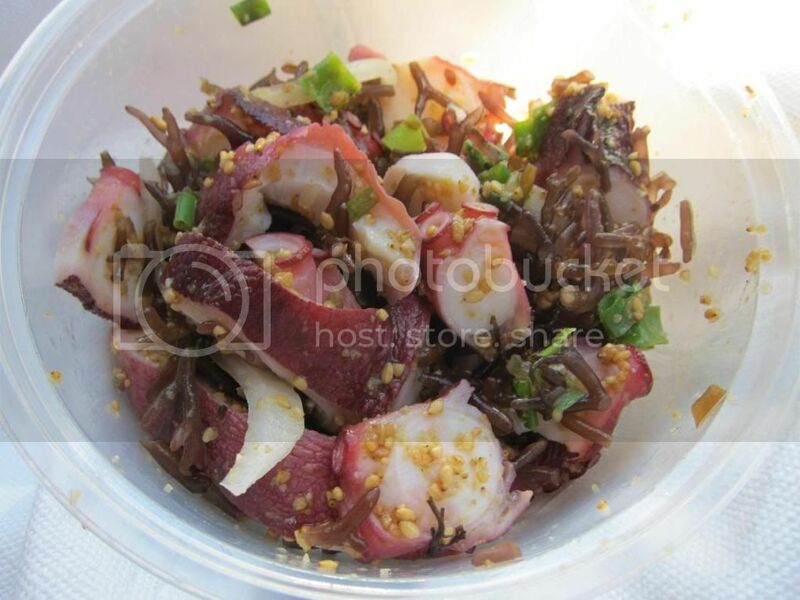 While Food, She Thought preferred Ono Seafood's poke, those two places seemed to be the favorites. My navigation skill was too poor to find Ono Seafood, so I could only try Tamura's this time around. It was hard to choose among so many varieties, or even to figure out how much I would need to get full, but they do let you sample pretty much everything. I ended up getting the Ahi with Tamura sauce which was a slightly sweet, teriyaki-like sauce. This seems to be a pretty classic preparation and the ahi was very fresh. Compared to the other two that I got, though, this doesn't stand out. We also got the Tako Limu (seaweed) which I enjoyed quite a bit. The octopus was cooked perfectly and had a great texture. It was seasoned just right - no overwhelming saltiness that covered up the freshness of the octopus itself. 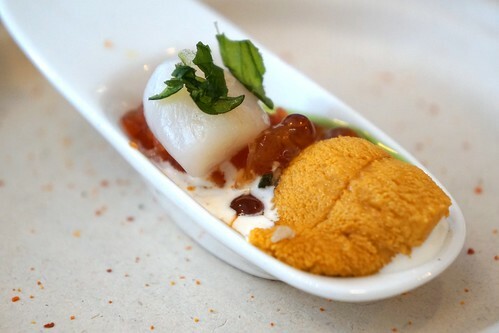 The best part, however, was the texture combination of the chewy but tender tako and the "slimy-crunch" of the seaweed. 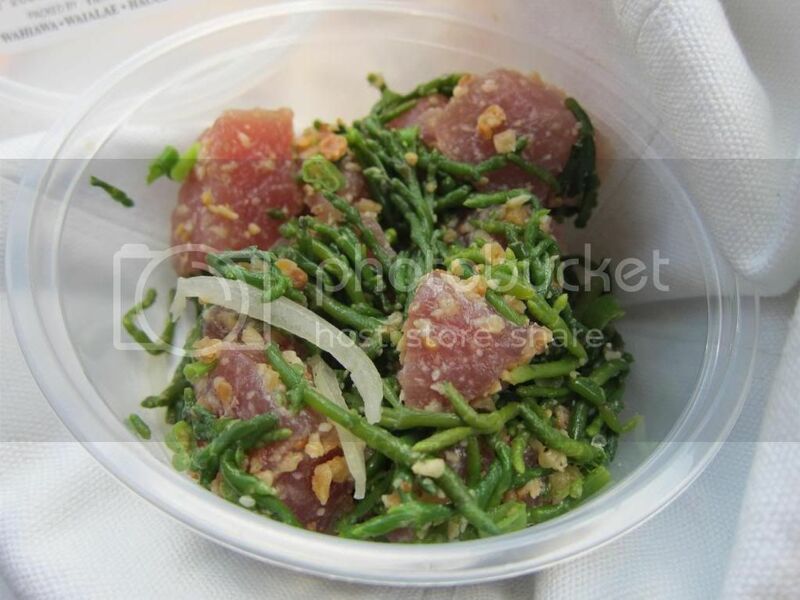 My vote for best poke of the day goes out to the Ahi Sea Asparagus. The saltiness of the sea asparagus carried a very special flavor that complements the fresh ahi very well. Think lightly salted fresh ahi with extra textural support. 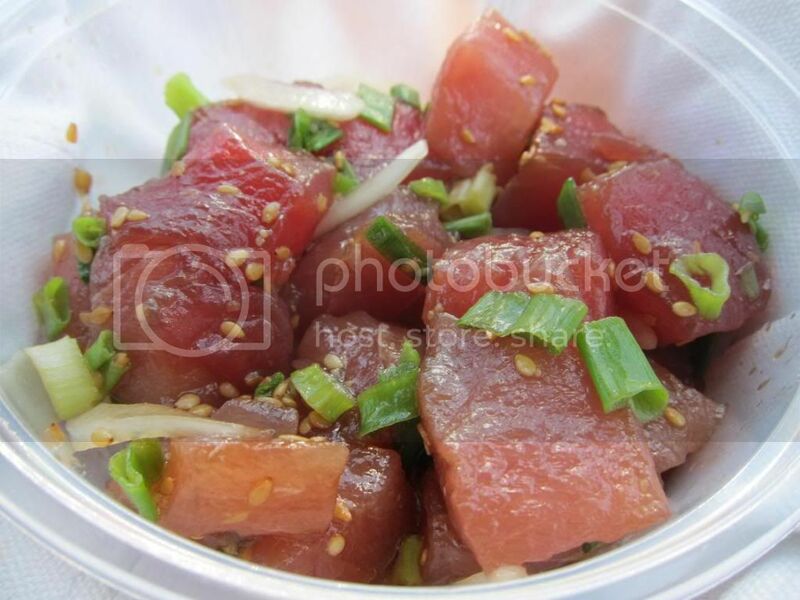 Combined with the macadamia bits they make an amazing poke. Since I haven't tried Ono Seafood's poke, I can't say if this is "the best" in Honolulu or not, but you can't go wrong with Tamura. Grab two or three tubs of poke and you'd be more than satisfied.